After a tie-breaking name drawing by Virginia State Board of Elections officials, Republican David Yancey has officially been declared the winner in the 94th Virginia House of Delegates District seat in Newport News. Yancey, the incumbent, maintains his seat in the House of Delegates after an unconventional end to the Virginia race. Republicans now hold a 51-49 majority in the state House. 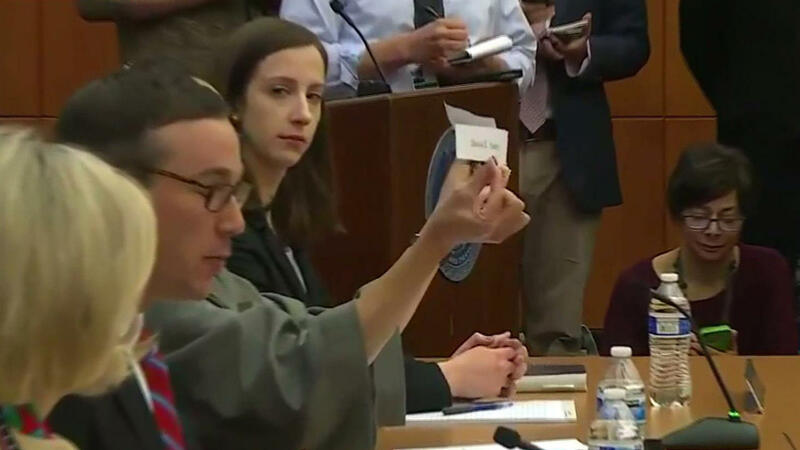 Election officials on Thursday, in accordance with state law, determined the winner of the tie "by lot" by drawing the winning name from a film canister which was placed inside a decorative blue bowl. A second name was pulled and read aloud to prove the drawing fairly included both names of candidates. The bowl, crafted by local Virginia artist Steven Glass, was lent to board officials by the Museum of Fine Arts for the special occasion. The same practice has been used by board members to set the order in which parties are listed on statewide ballots. In 1971, Virginia drew names from a large silver cup to settle a tied House race in Fairfax County. Yancey was not present for Thursday's name-drawing due to the inclement weather in the region but Simmonds was present to witness the declaration. State election officials had initially postponed their plan to break the tie and James Alcorn, chairman of the State Board of Elections said that drawing names would be an "action of last resort." Initially, Simonds appeared to have lost November's election by 10 votes. Then she appeared to have won a recount by a single vote in December. A day later, a court in Newport News declared a tie. According to the Associated Press, Simonds addressed the media present at the name-drawing, calling the results a "sad conclusion" and added that at the moment, "all options are still on the table." Simonds, who could potentially ask for another recount, neglected to officially concede to Yancey on Thursday.